Psalm 40:1-2 testifies: “I waited patiently for the Lord; and he inclined unto me, and heard my cry. He brought me up also out of a horrible pit, out of the miry clay, and set my feet upon a rock, and established my goings”. Jesus has taken you and me out of every pit. You are not permitted to remain there any longer. By the blood of Jesus, you have guaranteed peace with God in all areas of life peace in your body, your Family and your finances. You are now to be envied. Wherever you go, you should be the envy of men, with a continuous shout of hallelujah in your habitation, and a ceaseless song of victory in your mouth. This is God's plan, now made available to you. From this point in time, every sickness must end in your life. When you give your life to Jesus Christ, you become a partaker of the blessings of Abraham. Jesus hung on a tree, so that these blessings could become ours, and replace the curses hanging over our heads before. Once you're born again, you become a spiritual Israelite (Galatians 4:28). Consequently, whatever blessings that pertain to Israel become yours. Divine health is your heritage in God, and it is your birthright. Talking about Israel's 40 years journey in the wilderness, the Bible records that none among their tribes was feeble, their legs were not swollen, and their clothes did not wax old! (Deuteronomy 29:5). That's your heritage in God, as a spiritual Israelite. He says, "I am the Lord that healeth thee." That's your heritage in God and your birthright in Christ. Who paid the price? Jesus did! The same day you were delivered from sin, your body was delivered from torture and torment. It's affirmed in Psalm 103:3: “Who forgiveth all thine iniquities, who healeth all thy diseases”. Your rescue is total! One woman came to Jesus on behalf of her daughter, desiring healing for her. Jesus said to her, "You don't give children's food to dogs. Let the children first be filled." (Mark 7:27, paraphrased) If you're a child of God, you are in God's priority list for complete health until you're healthy; no sinner in this world is permitted to walk the streets sickness free! That woman answered back, "Yes Lord, but the dogs too can eat out of the crumbs that fall from the table". Every time you see a sinner healed, it's a crumb from the table! You are the one that has a guarantee to be healed, because you are a child of the Kingdom. God is not only interested in the salvation of your soul; He is also the Saviour of your body (3 John 2). So whatever is destroying your body, God is out to destroy it. Your life should be proclaiming the values of the death of the Lord Jesus Christ, that He didn't die in vain, that you're a proof that He truly died and rose again. From now on, you'll always have something to show! You shall live a hurt - free life! The hour of your victory has come! The King of life descended into death! The Light that lights up every man, descended into darkness! And of course, you know that once light appears in darkness, darkness is overthrown. Jesus gave up the ghost, and behold, the veil of the temple was torn in twain. We now have everlasting access into the things God has ordained for us. When Jesus descended into the dungeon of death, there was catastrophe! Hell began to shake and Hades was overthrown. The earth quaked, the rocks rent! And what was the outcome? The Light of heaven descended into the dungeon of darkness. Darkness was shattered! The captives were released! The graves were opened and all the saints came out! So you see, you have no business being in the grave any longer. I can hear the King saying to you, "Go ye therefore (into your liberty) ..."
Tell yourself, "I am going forth out of every grave, every imprisonment, and every captivity." The One that said, "Go ye therefore ..." also said, "All power in heaven and in earth is given unto me." No one can challenge His orders. He said, "Go! Go from whatsoever is holding you down cancer, AIDS, leukemia, kidney failure, hypertension, barrenness, infertility, etc. Go!" No devil can stop you once you're set to go. Where was the devil when Jesus came out of the grave? Where was he when you gave your life to Christ, when the blood of Jesus brought you out of the pit? Know therefore that the devil that couldn't stop you from getting saved cannot stop you from getting healed, or from enjoying continuous divine health, as I have been enjoying for the past 27 years! Friends, you are complete in Christ! Listen to me, Satan has suffered an open defeat in the hands of Jesus, from which he will never recover! And for you, your mind is no longer in the grave; your body is no longer there. You have been raised together with Christ, who is the Head of all principality and power. Nothing can hold you down any longer. Jesus has raised you up. So stay up! You are far above every sickness or disease that has a name. Before you are born again, you remain far below. But once you're saved, you're raised up together with Christ, and made to sit in heavenly places far above. You are far above cancer, depression and every other sickness. They are only for "inhabiters of the earth." A far-above mentalities must dawn on you. 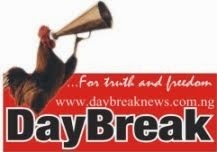 This is my secret of triumph; I know I am far above disease, death, failure, armed robbers, etc. Friends, the devil's hand in your life and body has come to an end! You are now seated where sickness, disease and death cannot reach. From now on, you will begin to demonstrate the authority of your heavenly status, and the whole world will know that you're no longer in the pit that, you're risen with Christ! Through His death, Jesus forgave you all your sins, and by His resurrection, He blotted out all the handwriting that was written against you by doctors, soothsayers and occultic forces. He took everything that was against you out of the way and nailed it to the cross. Such things can never rise again to torment you! Only Jesus rose, the cross didn't rise! Whatever has been against your health and wellbeing, it's time to see it nailed on the cross, and you will begin to see open triumph from now on! “If Jesus hung on the tree for you, no sickness or disease can hang on your body anymore. The blessings of Abraham have become yours. You're no longer under a curse” (Galatians 3:13-14). Before sin was paid for, sickness was dealt with. Jesus was beaten and later hung on the cross, before He gave up the ghost. As this was going on, your healing was being paid for, and the curses on your life were being averted. Name any sickness that has ever harassed you, and now tell it to its face, "You can no longer hang around my body, because somebody has already hung on the cross for me. I am now entitled to liberty, spirit, soul and body. Hypertension, you can no longer force yourself on me. As Christ hung on the cross, all the curses of my life hung along with Him. I am now a child of liberty. I have access to freedom." Sickness has no legal hold over your life anymore. As long as you serve the Lord you are entitled to liberty. The devil cannot hold you captive any longer. You're free indeed! Rescued! Bishop D.O. 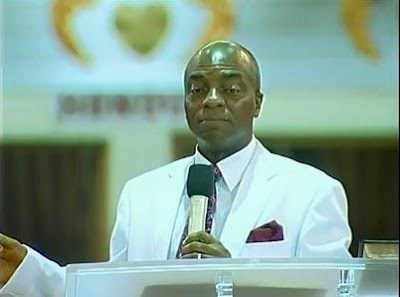 Oyedepo is the General Oversea and Presiding Bishop of Living Faith Church Worldwide (a.k.a.) Winners Chapel.